Yemen is by far the most intentionally down-played and grossly under-reported conflict in the world. 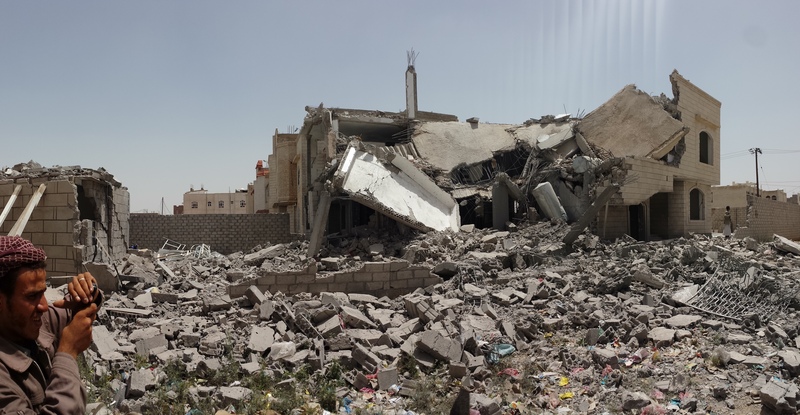 The result of the western mainstream media’s outright refusal to report this war properly has been tens of thousands dead from Saudi-led violence, leaving hundreds of thousands at risk, and with millions displaced. 21WIRE Associate Editor Vanessa Beeley speaks to host Patrick Henningsen about the current deteriorating situation in Yemen. Beeley gives a comprehensive breakdown and heart-felt analysis of the conflict during Episode #202 of the SUNDAY WIRE radio show. What’s become clear now after 2 and half years of an undeclared war of aggression on neighbouring Yemen, is that Saudi Arabia and its allies – particularly the US and UK – are now guilty of international war crimes for their illegal and sordid roles in targeting civilians and civilian infrastructure, and generating mass suffering and death in the country.